Being that we are a family of boys, we are very big into anything boyish possible! Not to mention the fact that I studied Mechanical Engineering for years AND we live in Michigan near pretty much every automotive company in the world, we are very big into cars, trucks, and all things automotive. 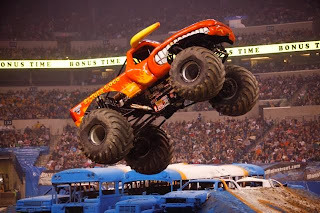 I was notified a few days ago that Monster Jams would be touring Detroit in 2014! I didn't even have to mention this to the boys to know they would be pumped and would jump at the chance to attend this event at the beautiful Ford Field! 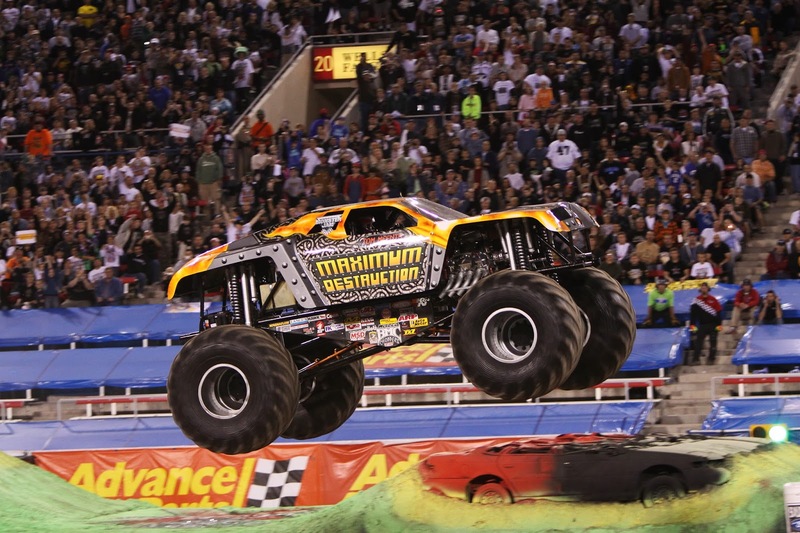 Coming January 11, 2014, the Monster Jam is going to be one of those up close and exciting events you will want to attend! 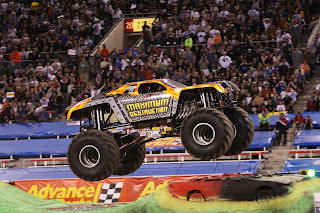 "Monster Jam®, starring the biggest performers on four wheels: Monster Jam monster trucks! The twelve-feet-tall, ten-thousand-pound machines will bring you to your feet, racing and ripping up a custom-designed track full of obstacles to soar over or smash through! Monster Jam provides a massive night’s entertainment tailored perfectly for your family’s budget, and these colorful, larger-than-life beasts are sure to capture the hearts of both young and old." PARTY IN THE PITS from 2-5 PM. Meet the drivers, get autographs! Pit Party tickets are $10 each and can be purchased along with your show tickets on ticketmaster or on the day of the event at the Ford Field Box Office. at $10 for kids and $20 for adults if purchased in advance. All ticket prices increase $2 on the day of the show. Tickets are available at the Ford Field Box Office, all Ticketmaster outlets, online, and by phone at (800) 745-3000. **Valid on the $25 and $20 price levels only. Not valid with any other offer or discount. Discount NOT valid on Pit Passes. Must purchase via Ticketmaster.com or charge by phone at (800) 745-3000. Limit 8 tickets per order.